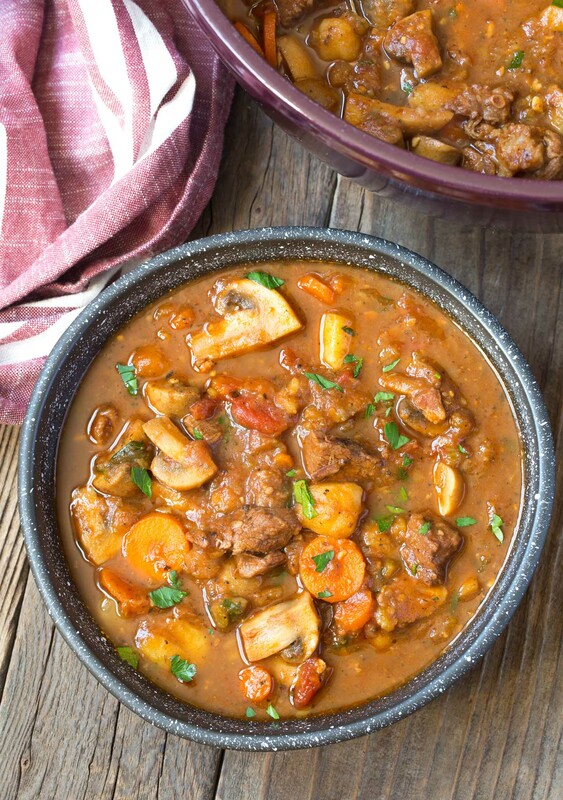 This Easy Beef Stew with Mushrooms is truly the Best Beef Stew Recipe we’ve ever tasted. Make it a Crockpot Beef Stew or on the stovetop! On a cool crisp evening, nothing beats a hearty bowl of beef stew. It has the ability to satiate our body and comfort our mind. Most people would say they’ve had a really good beef stew with mushrooms and wine, at some point in their lives. Yet have you tried The Best Beef Stew Recipe? 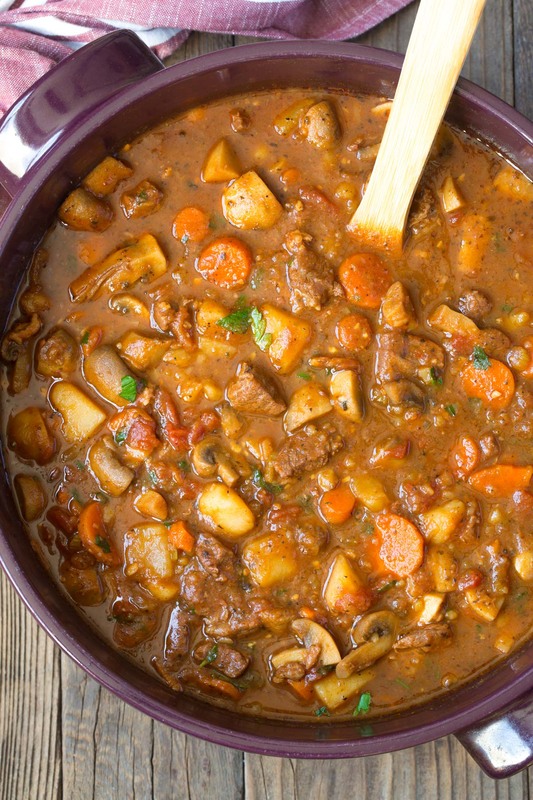 Growing up, beef stew was a weekly staple in our family. My mom made it hundreds of times throughout my childhood. You can’t make something so often without perfecting it. You just can’t. Over the years, I’ve tasted many beef stew recipes outside of my home, but nobody’s stew comes close to my moms. She is a beef stew expert. Yet mom’s Easy Beef Stew Recipe is something to experience. It’s perfectly chunky, yet with tender pieces of beef and a silky base. It offers bold beefy flavor, yet with tons of herby essence, and a touch of sweetness from the carrots. 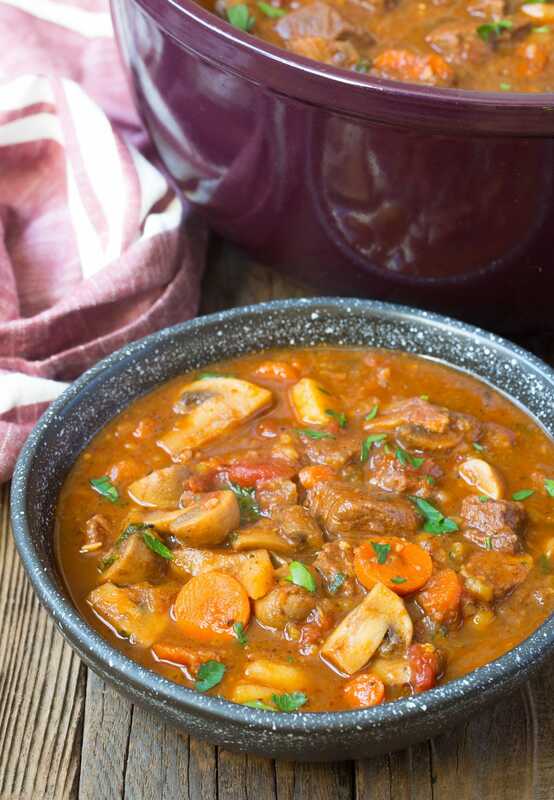 Mom’s Beef Mushroom Stew is everything a great stew should be. Thick-Cut Bacon – Instead of oil or butter to sauté the veggies, add fat with luxurious porky essence! Beef Chuck Roast – Chuck roast offers just the right amount of fat marbling, so the beef cooks down slowly into tender morsels. Onion – The background of all great dishes! Celery – Another essential for slow-cooked perfection. Carrots – Provides sweetness and balance. Mushrooms – Paired with beef, mushrooms create a rich earthy flavor. Stewed Tomatoes – For balance and color. Make sure to break the tomatoes up with a wooden spoon, or crush them in your hands before adding to the pot. Italian Seasoning – Dried herbs are perfect for slow cooker beef stew and soups. The long simmer time brings out their flavors. Red Wine – Adding a splash of red wine gives the stew that little extra something. It’s not necessary, but does make a difference in overall flavor. Russet Potatoes – For chunky goodness and thickening. 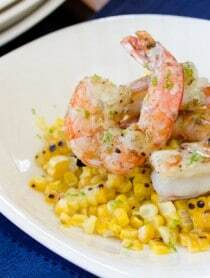 Parsley – Add a sprinkling of fresh parsley at the end to brighten up the deep flavor. 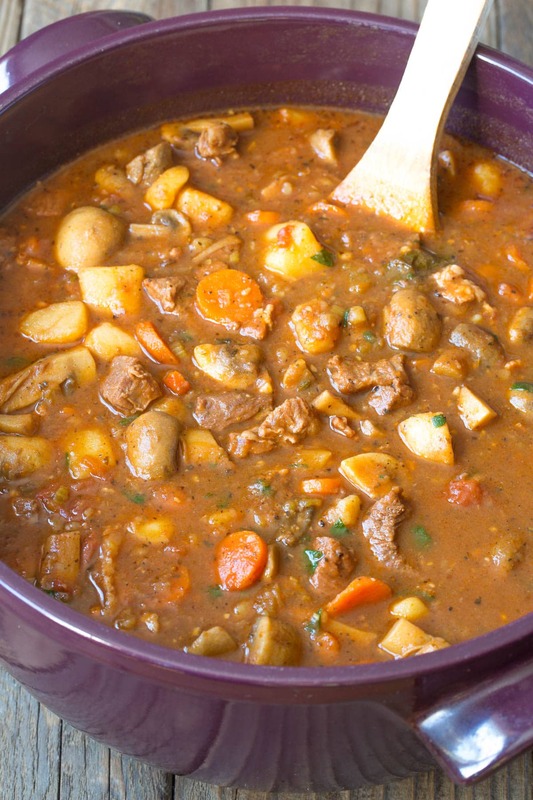 How Do You Make Homemade Beef Stew? It’s so easy! Just chop your meat and vegetables and throw them in the pot. You can make our Best Beef Stew Recipe on the stovetop or make Crockpot Beef Stew. I’ll show you how below. Chop all ingredients. Except the potatoes… Save those for later. Brown the bacon. Bacon makes everything better, right? It even adds an extra layer of flavor to stew. Sauté the vegetables. 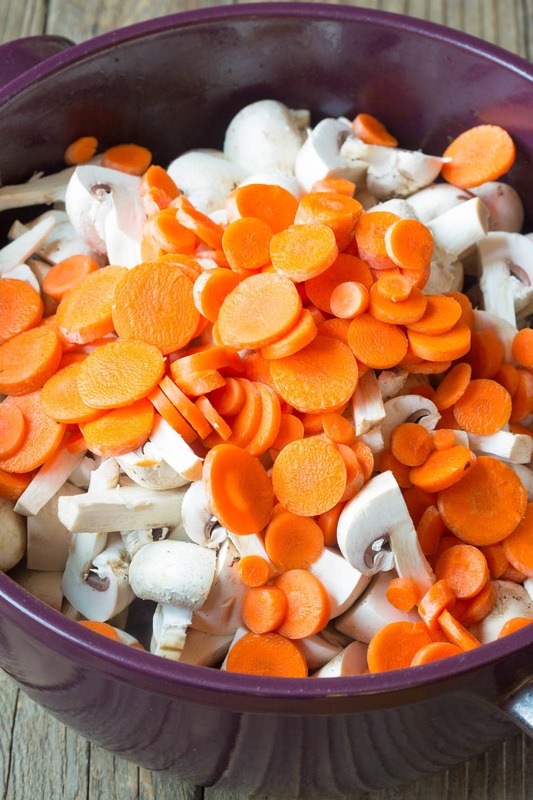 This softens the vegetables and allows them to release their flavor into the stew. Brown the beef. Cooking the beef a little upfront, locks in the juices so the beef retains its essence while simmering. Add more veggies, herbs, and broth. It’s time to simmer the soup. Keep the pot covered, so the beef can tenderize. Now the potatoes. If you add the potatoes into the stew right away, they tend to cook down to mush by the time the beef is soft and tender. I like to give the beef a head-start and add the potatoes about 30 minutes into the cooking time That way, they are soft and still thicken the stew base, without fully disappearing. Cover and simmer. Simmer another hour or so, until the beef chunks arenultra tender. There’s nothing worse than tough beef in a stew. Make set-and-forget Slow Cooker Beef Stew in the morning. Then come home to a perfect dinner later in the day! Use a multi-cooker to sauté the vegetables and brown the meat right in the crock. Then add the remaining ingredients and set to slow cook. If you don’t have a multi-cooker, start the recipe in a large skillet on the stovetop, then transfer the meat and veggies to a slow cooker and add the remaining ingredients. Yes, it’s important to soften the vegetables and brown the meat before you slow cook. 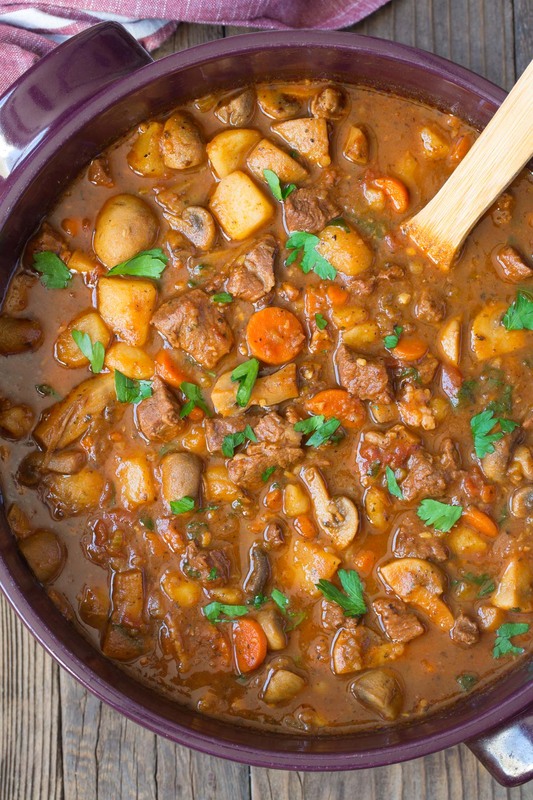 The beef stew won’t taste quite the same if you skip this step! Slow cook on low for at least 8 hours, or on high for at least 4 hours. Absolutely! However, you cannot make this easy beef stew recipe exactly as-is, because the recipe is too large. Sauté the bacon, onions, celery, and garlic in the Instant Pot for 5 minutes. Then add all ingredients and set on Pressure Cook High for 20 minutes. Perform a Quick Release. Then once the button drops, it’s safe to open the lid. Get the Full (Printable) Best Beef Stew Recipe With All 3 Methods Below! Bacon lovers, you can add in a few more strips if you like. Just don’t over do it, or the stew base will be greasy. Yes, you can omit any vegetable. 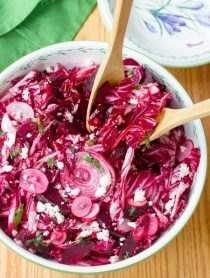 Just remember, they are all included for a reason, so swapping out veggies will alter the overall flavor a bit. When in a hurry, buy pre-cut stew meat (which is usually chuck roast), pre-cut vegetables from the produce department, and jarred minced garlic. Not a beef eater? Use this as a base recipe to create pork stew, lamb stew, or chicken stew using chicken broth. Keep in an air-tight container in the refrigerator for up to 7 days. This is a great freezer recipe. Store the leftovers in an air-tight freezer container and freeze for up to 9 months. Thaw completely at room temperature, before re-heating on the stovetop. 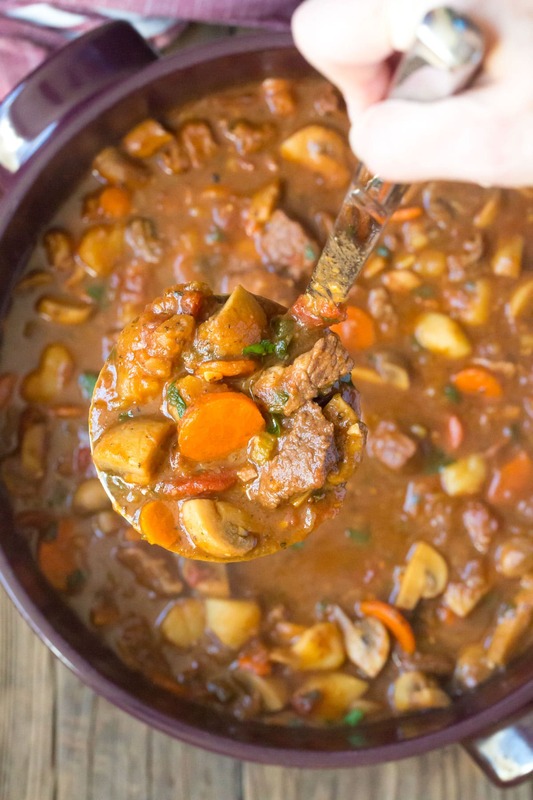 This Easy Beef Stew with Mushrooms is truly the Best Beef Stew Recipe we've ever tasted. Make Crockpot Beef Stew on the stovetop or in the slow cooker! Chop all the meat and produce, except the potatoes. Set a large soup pot over medium heat. Then add the chopped bacon and brown it. Once the bacon is cooked add the chopped onions, celery, and garlic. Sauté for 5 minutes to soften. Then push the vegetables to the sides of the pot and add in the beef chunks. Stir and brown for another 5-10 minutes. Next add in the carrots, mushrooms, stewed tomatoes with juices, Italian seasoning, beef broth, red wine, 2 teaspoons salt and 3/4 teaspoon ground black pepper. Stir, and break the tomatoes up a little with a wooden spoon. Then cover and bring to a boil. Let the beef stew simmer for about 30 minutes. Then peel and chop the potatoes and stir them into the pot. Cover and allow the stew to continue simmering on medium to medium-low for another 60-90 minutes, until the beef is very tender. Stir occasionally. When ready to serve, stir in the chopped parsley. Then taste, and salt and pepper if needed. 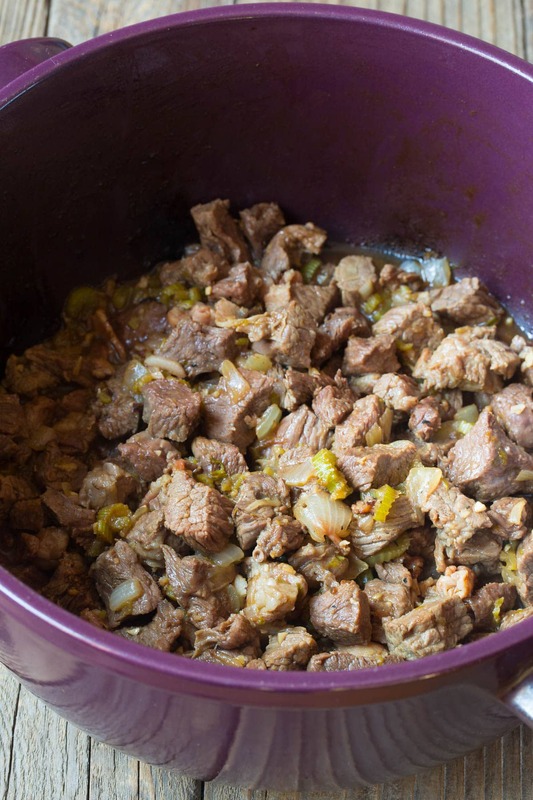 CROCKPOT BEEF STEW RECIPE INSTRUCTIONS: Yes, this easy beef stew can be made in a slow cooker! Start on the stovetop to brown the bacon, sauté the vegetables, and brown the beef as seen above. Then transfer it to a large slow cooker, and add all remaining ingredient, except the parsley. Cover, and slow cook on low for 8-10 hours, or on high for 4-6 hours. Stir in the parsley when ready to serve. Perform a Quick Release. Once the button drops, it's safe to open the lid. I am definitely making beef stew again this weekend. It’s so so good and warms me up in these cold months!! What a cozy meal for winter. We love beef stew here! Going to make this pot of soup for this super cold weekend up here in Chicago. Beef stew is a family favorite around here! 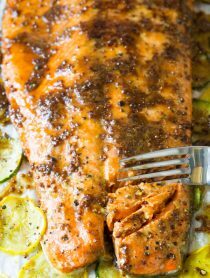 We adore it so much, even my picky kids loved this recipe! Thank you so much! This looks so hearty & comforting!! Beef stew is one of my favorites & this recipe looks absolutely delicious!! My family loved this stew! It’s packed with flavor! This is just such a classic and it looks dreamy! Everything about this stew is awesome. With it being so cold it is the perfect thing to have cooking all day. This is a great dinner. Perfect comfort food for a chilly night. 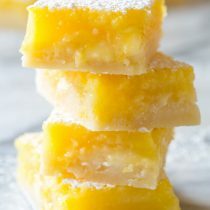 How can I print the recipes?